I started using an essential oil diffuser to make my work area more calming (p.s. this is an affiliate link.) I love to add lavender oil, and have it running for my entire work day. 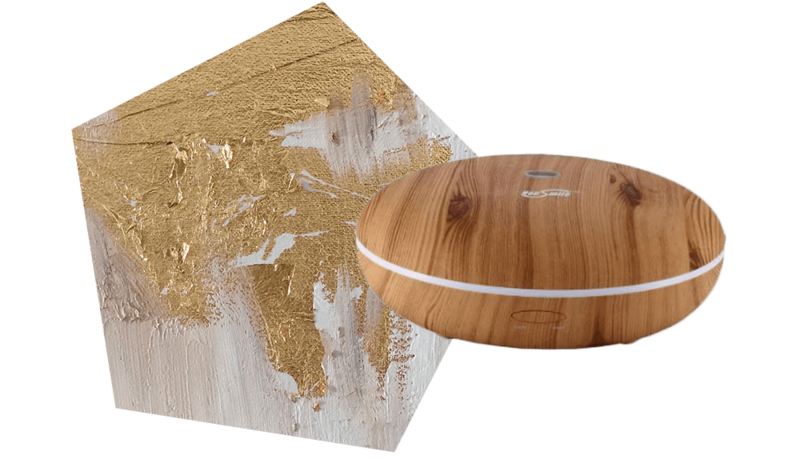 Added bonus – I have a litterbox near my workspace, and this diffuser completely erases any trace of litter smell. If you haven’t noticed, I am a big fan of having plants around. 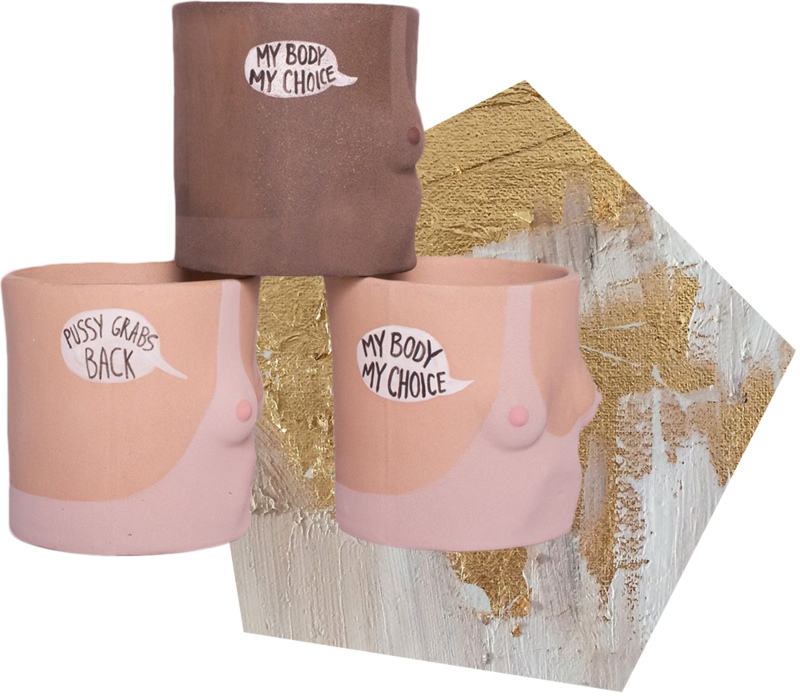 I love these planters by group-partner, they’ve been around for a while but there’s a new added twist – this particular option benefits planned parenthood. So not only will you be letting your lady-friends know that you want them to be happily surrounded by plants all the time – you are making a positive impact in the name of women’s health too! 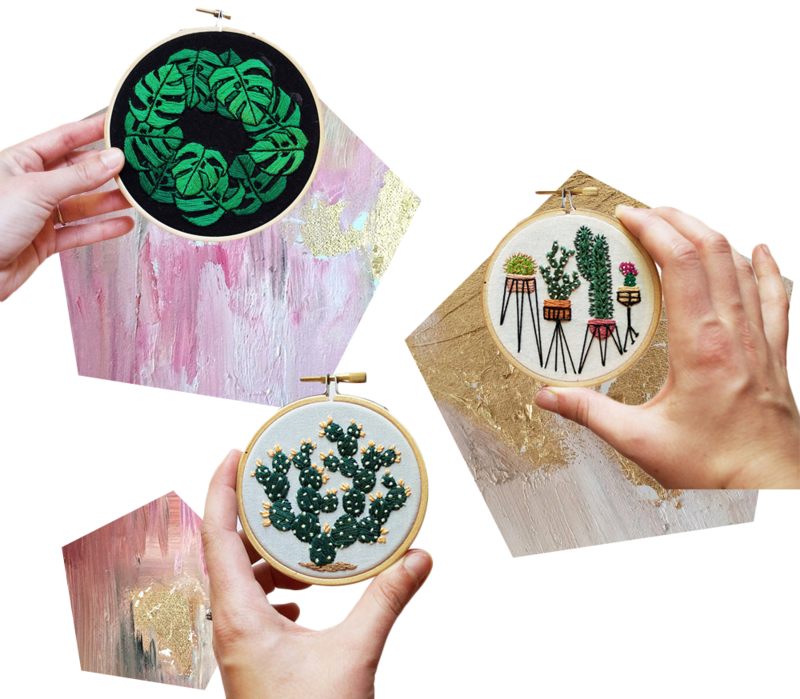 If live plants don’t seem like the right option, these embroidered plant scenes are a pretty fantastic alternative! Especially good for lady-friends that have to travel a lot. 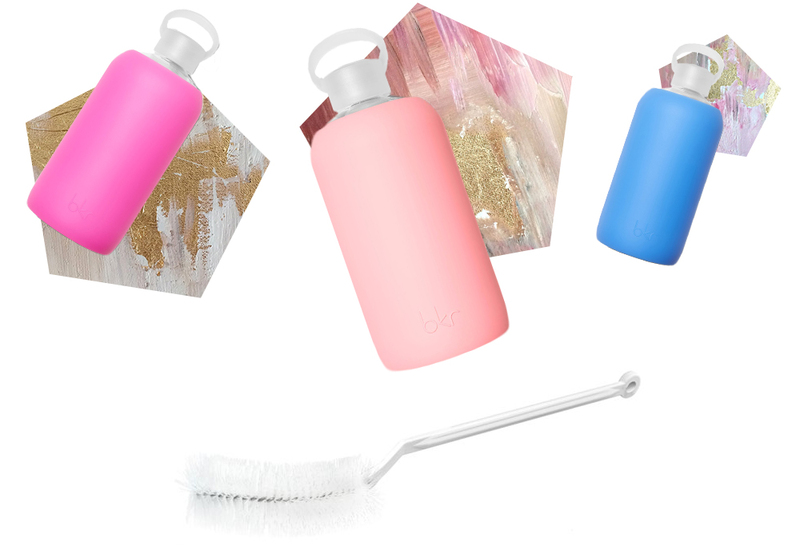 Designlovefest drinks out of a BKR water bottle…so we should all drink out of BKR water bottles, lol. But seriously – these water bottles are fantastic. The bottle itself is glass and has a rubber guard on the outside that keeps it from breaking if you happen to drop things on a regular basis like I do. I would definitely recommend getting the bottle brush, too. The opening is pretty tiny and you want to be able to wash that baby out! Face mists are an awesome way to do a quick refresh mid-day. One quick spritz on your face helps re-hydrate your skin. It sounds crazy but I swear office-air is extra dry. It doesn’t seem to matter what climate you are in. Glossier has a great rose-infused spray and so does Herbivore Botanicals. Both are easy to put in a purse or desk drawer for quick pick-me-ups. Bonus points because both brands are made in small batches in the U.S.A. I would totally love to get my hands covered in this gin & rosewater shea butter by tokyo milk. Shea butter is great for hand creme because it’s thick enough to really get your hands feeling good and mositurized. Bonus points because Tokyo milk is made in small batches in the U.S.A.
Love how you are able to incorporate the outdoors and all sorts of meditative practices. I didn’t even know face mist was a thing, but it sounds lovely. I’m going to have to check this out. So lovely rounding up with you! Yes!! Face mist is so relaxing, total game-changer!